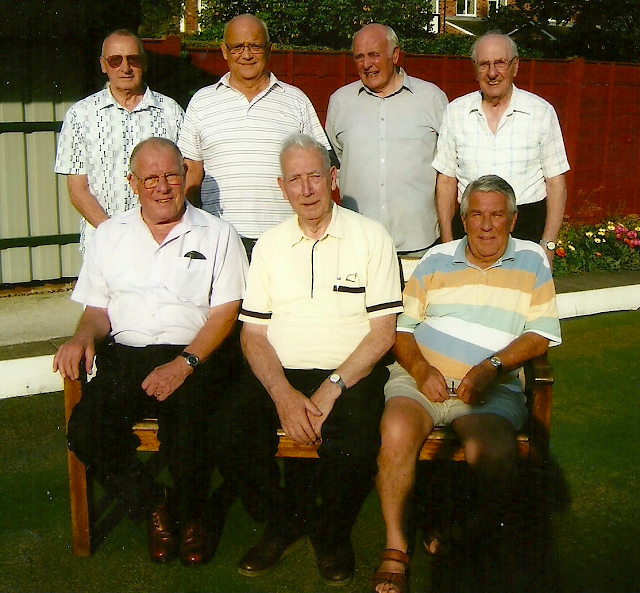 As the 2011 bowls season drew to a close, the Club's Veteran Bowls Team just missed out on topping Alderley Edge and District Bowls League's Division 3. Despite winning more matches than any other team, their total of 3305 points fell agonisingly short of the 3316 amassed by Great Moor's team. Nevertheless, it's a highly commendable result. In the team photo we have, standing from left to right, Frank Griffith, David Bayley, John Anderson and Dennis Brown, and sitting from left to right, Bob Aston, Fred Livesey and Bert Nicholson.